It is with a sad heart that we announce that our dear friend and keen supporter Mrs Josephine Nwe died on the weekend. 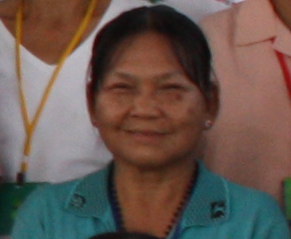 Josephine is the wife of our friend and co-worker, Ps Mynint Nwe and mother of Elizabeth Nwe our Buzz Off Yangon manager . Josephine was a kind person who always had a smile on her face and was gracious to all her met her. She will be sadly missed. Our thoughts and prayers go out to the Nwe family at this time.